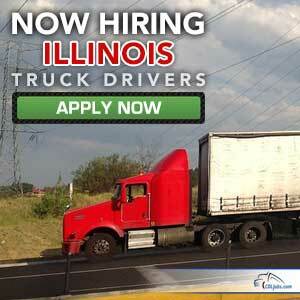 Trucking companies need OTR truckers to carry goods along the wide open roads of Illinois. Whether you are searching for jobs near Chicago, Rockford, Peoria, Champaign, or Carbondale, OTR truckers will find no shortage of truck driver jobs in Illinois. On CDLjobs.com, you can apply for numerous trucking jobs without any cost to you. Simply fill out our free application form and apply to as many carriers as you wish, with a few clicks. We've done research for you, finding you the best companies in the state with the best pay, all without you losing hours of your valuable time. Don't spend your hours researching trucking companies instead of driving, use CDLjobs.com to find your next job in Illinois and keep your attention on the road. Be home every day with a yard spotter job at American Spotting Company. Get paid by the hour and make better money with the best home time. Owner Operator and Lease Purchase truck driving jobs are better with TransX USA!